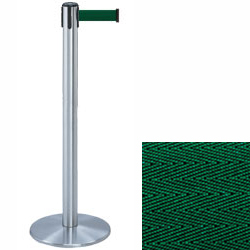 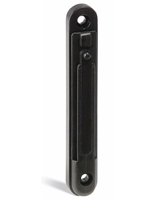 This Public Guidance Post in Satin Chrome features a 7 1/2 foot dark green retractable belt. 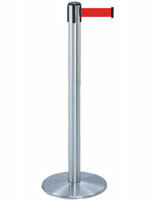 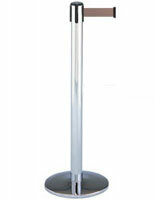 The post measure 38" tall with a 13 1/2" diameter base, and weighs 24 lbs, the belt is approximately 2" wide. 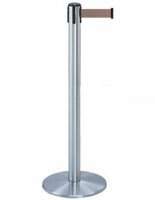 Please Note: All Post Orders Are Quickly Built To Order.